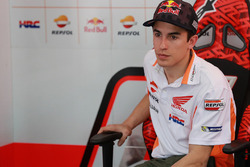 Jorge Lorenzo secured his first MotoGP victory since he joined Ducati in dominant style in the Italian Grand Prix, while Marc Marquez's points lead took a hit as he crashed. From second on the grid, Lorenzo surged into an early lead at Mugello ahead of home polesitter Valentino Rossi, with Marquez moving up to third place on the opening lap from sixth with a robust pass on Danilo Petrucci's Pramac Ducati at Turn 2. Honda rider Marquez then picked off Rossi's Yamaha at the start of the third of 23 laps at the first corner, San Donato, before putting pressure on leader Lorenzo. But on the fifth lap, Marquez lost the front end coming into the Scarperia right-hander, sliding into the gravel trap before remounting. That left Lorenzo leading Rossi and the second works Ducati of Andrea Dovizioso, who then moved into the runner-up spot on lap 7 at the Casanova-Savelli switchback. At this point, Lorenzo held a slender advantage of 0.7 seconds, but as the race progressed, the Spaniard was able to maintain his pace, pulling out a lead of 1.5s by the 13th lap. 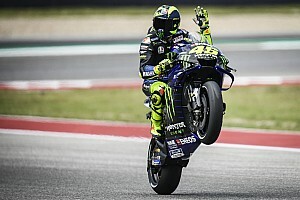 The three-time MotoGP champion was able to reel off the remaining 10 laps and ultimately secure his first win since Valencia 2016 and the 45th of his premier class career by a margin of 6.3s. 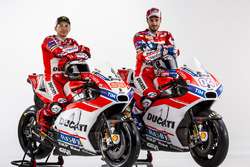 Dovizioso looked safe for second until his pace slumped dramatically in the closing laps, but he was able to hold off third-placed Rossi by just 0.259s and complete a Ducati 1-2. 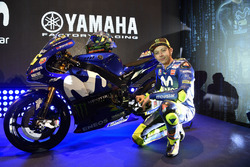 Rossi's third place came the hard way, as the 39-year-old was forced to overcome Suzuki pair Andrea Iannone and Alex Rins as well as Petrucci. Petrucci rose as high as third before dropping back in the closing laps, leaving Rossi and Iannone to battle over the final podium spot, with a last-lap error from Iannone putting Rossi in the clear. Rins was fifth ahead of Cal Crutchlow (LCR Honda), who moved ahead of Petrucci with three laps to go. Front row starter Maverick Vinales came eighth on the second works Yamaha, resisting a challenge from Nieto Ducati rider Alvaro Bautista, while Johann Zarco was an anonymous 10th on the Tech 3 Yamaha. Completing the points scorers were Pol Espargaro (KTM), Hafizh Syahrin (Tech 3), Tito Rabat (Avintia), Bradley Smith (KTM) and Franco Morbidelli (Marc VDS Honda). Marquez ended up 16th of 17 lead lap finishers, 12 seconds behind Morbidelli. A first-lap tangle for Dani Pedrosa with the second LCR machine of Takaaki Nakagami meant the works Repsol Honda team ended up scoring zero points. Also crashing on the first lap were Scott Redding (Aprilia) and Karel Abraham (Nieto Ducati), while Jack Miller (Pramac Ducati) and Thomas Luthi (Marc VDS Honda) both fell on the second tour. The remaining Aprilia of Aleix Espargaro was forced to retire in the pits in the closing stages with a rear tyre problem.